The First PC-Game I’ve Ever Made! I made simple boardgames when I was still in kindergarden, I’ve designed all kinds of games in school with my fellow students and I’m working on some game projects of my own. Now I can proudly say that I’ve made a PC-game on my own. 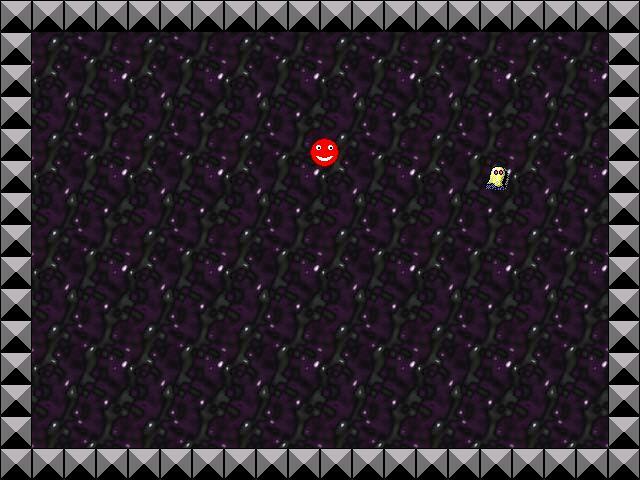 It’s called “Catch the Circle Man” and is a variation of a game in Game Maker’s tutorial called “Catch the Clown”. For those of you who’ve never heard of Game Maker, it’s a simple software for creating simple arcade games. I could only afford the “Lite-version” (it’s free to download), so I couldn’t do much with it, but at least I learned the basics. The loading screen for "Catch the Circle Man", which I made myself with MS Paint. 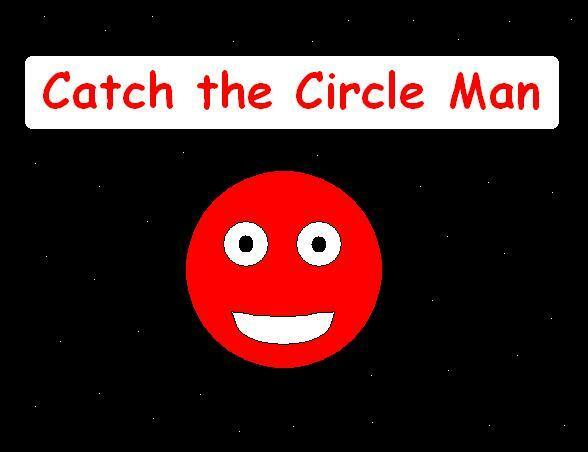 In this game, you have to click on the circle man (the red smiley) to catch him and collect points. But beware of the ghost! If he touches the circle man, the game starts over from scratch. Tags: Game Maker, games | Permalink.